The outpour of frustration and dissent CSUN’s campus experienced last week was described by the organizers as “Week of Action: Unnatural Disasters at CSUN.” A hive of students united for a week-long protest in opposition of Executive Order 1100, the CSU Chancellor Timothy P. White’s decision to eliminate cross-cultural comparative studies (section F) as a general education requirement by fall of 2018. Among the many minds and bodies behind the week-long protest, three student activists: Janet Valenzuela, Kaya Tillery, and Brittney Harvey. 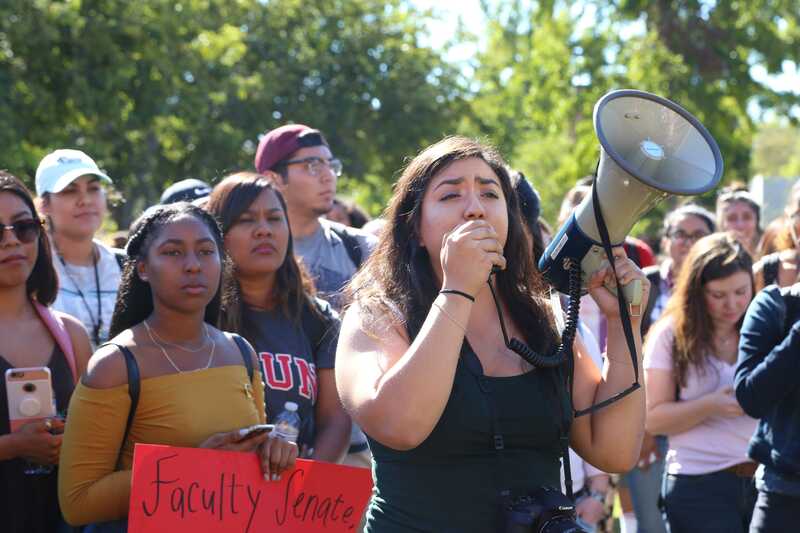 One of the most prominent voices heard shouting last week was Janet Valenzuela, a the student assistant at Civil Discourse and Social Change program. She explained that she first heard about the executive order in a monthly meeting with faculty on the thirteenth of October and immediately wanted to get involved. “I knew there would be students out there like me that want to get involved or informed, all they needed was a platform to organize around this issue hence on the nineteenth we had our first teach-in,” said Valenzuela. The Chicano/a studies major explained how the unnatural disaster theme came about and how everything fell into place leading up to the protest. This is not the first time the Huntington Park native has organized something of this sort. 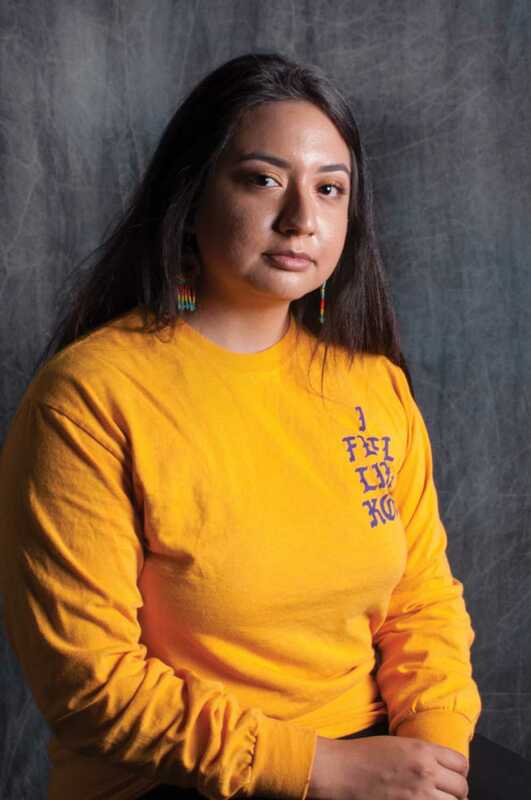 Valenzuela went into detail on why it is important for her to be a student activist and some of the change she has forced, participating in activist events since she was in middle school. The sustainability minor spoke about the protest last week and how it was unique from anything she has been involved with thus far. 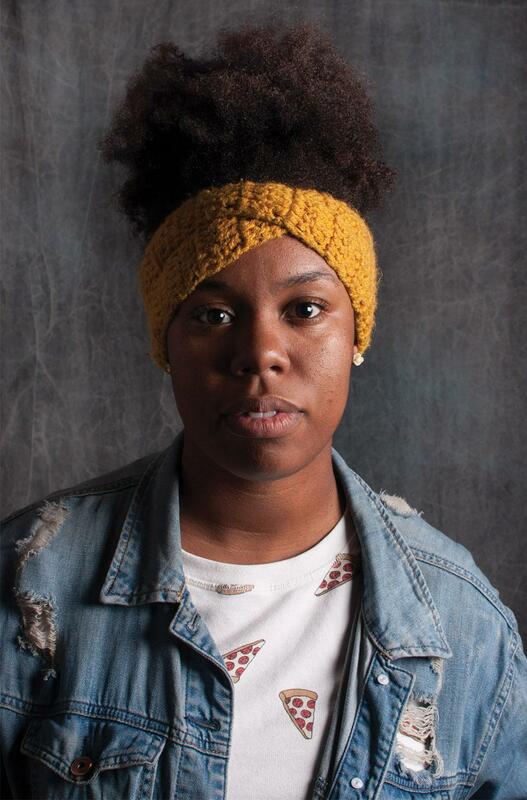 The de facto leader of the week of action was Spanish major and philosophy minor Kaya Tillery. Tillery is the President of the Black Student Union, so she felt her involvement was almost a requirement. “Well first, I am the president of the black student union, so part of our mission is to advocate for black and minority student rights on campus. So, it is kind of within my job description to do that,” said Tillery. A North Carolina native Tillery said that the issue was originally brought up in general body meeting and immediately got to work. “I think I just got really involved as far as coming up with the actual ideas for the protest just because I didn’t want to wait, so I was like I am just going to do something now so when I take it to the group as a whole we can just vote, change and depict little things instead of trying to come up with a whole idea,” said Tillery. The student activist says she also has some background in student led protests dating back to her first couple college years at Eastern Carolina University. 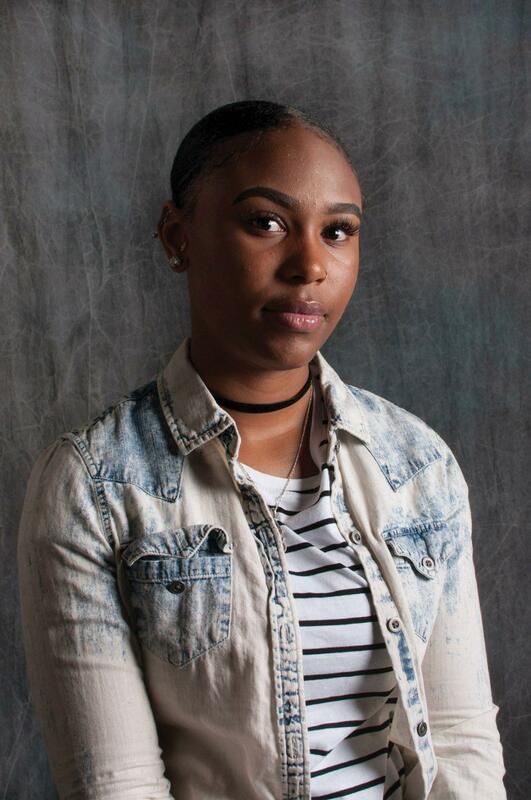 The protest occurred her freshman year and centered around a dorm building that was named after someone who was in support of the disenfranchisement of black men and women. “This protest in comparison to that one definitely got a lot more student support, the one at ECU got a little bit more negative backlash and I didn’t really get anything negative, at least to my face, from this recent protest involving section F, so I guess in that aspect it was a little different; it was definitely a little larger,” said Tillery. Tillery says she believes this protest was so influential just because of the large reaching affect this has on a number of CSUN departments and students. “If you have ever taken a class under Section F it affects you whether you want it or you don’t want it so the issue literally affects our whole campus community,” said Tillery. She would go on to say how the activists were somewhat pushy and in people’s faces about the issue, however it did not take a lot of convincing students to believe this Executive Order is wrong. Brittney Harvey was one of the student-leaders in touch with professors from the earliest stages of mobilization. Harvey was at the very first “teach-in,” asking questions and attempting to trying to determine what action could be taken against the executive order. Her involvement during the week of action ranged from printing and posting flyers around campus, handing out free food while shouting into a megaphone to tell students not to boycott campus dining, to marching throughout campus alongside hundreds of fellow students. She first became involved in activism last semester after Donald Trump was elected. 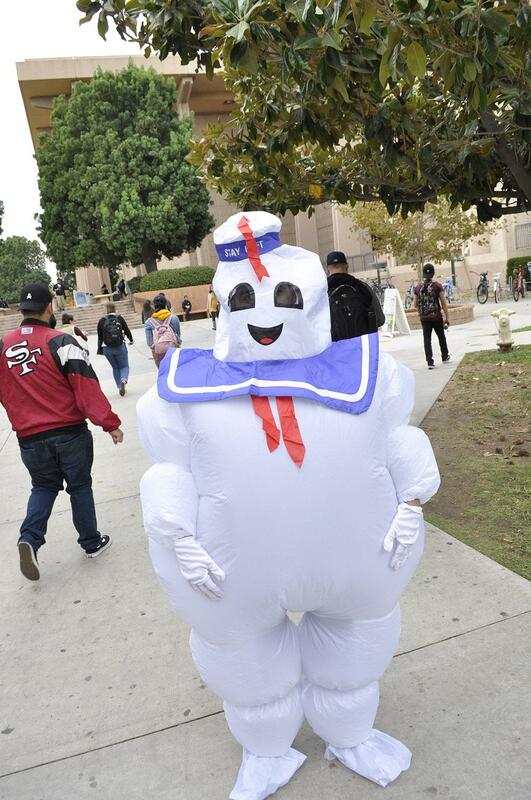 She helped galvanize students who demonstrated in front of the Oviatt lawn. Harvey said the biggest difference between these demonstrations against the executive order and the election protests is the amount of planning and how organized the efforts were. The “week of action” has been rumored to be the biggest protest in CSUN history. Harvey said it would not have been done as efficiently without the amount of strategizing that was done beforehand. Harvey, a senior deaf studies major, said that while she is unsure what career route she wants to take when she graduates, she wants to use her education to support communities of color and marginalized communities. She said her involvement in the protests led to her developing a bond between the many other students and faculty who were involved in organizing and educating people about executive order 1100. Harvey said she still isn’t at ease. Even though the faculty senate voted not to implement executive order 1100, she feels that the fight has yet to come to an end. Matador Threads: Ready to go trick or treating?